Bestselling authors Jack Canfield and Mark Victor Hansen present another joyful collection of stories for your reading pleasure. Within the pages of Un tercer plato de Sopa de Pollo Para el Alma you will find shining examples of the best qualities we all share as human beings: compassion, grace, forgiveness, hope, courage, dedication, generosity and faith. Stories may be the most powerful teaching tool available to us, especially when the lessons being taught are love, necessary losses, respect and values. 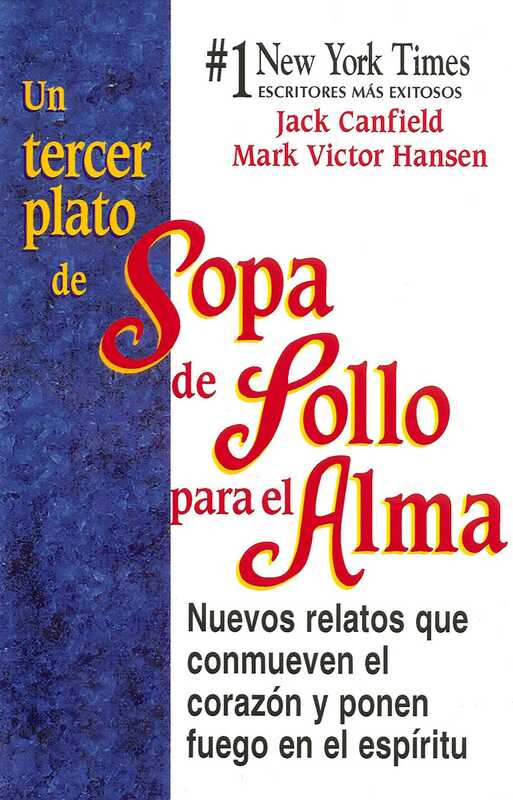 In this volume of Sopa de Polla Para el Alma, the authors share more collected wisdom on love, parenting, teaching, learning, death, attitude and overcoming obstacles. This book will warm your heart, brighten your darkest day and put a smile on your face that will last a lifetime.